I saw this book on the new book’s shelf at my local library. I loved the cover of the book. I include it here. I just love shelves and shelves of books. What’s not to like, huh? 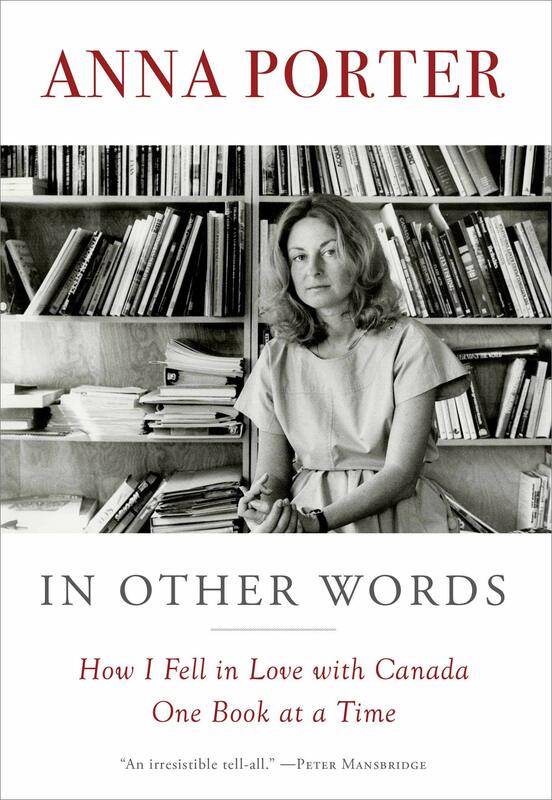 When Anna Porter arrived in Canada in early 1968 with one batter suitcase, little money, and a head full of dreams, she had no idea that this country would become her home for the rest of her life, nor that she would play a major role in defining what it means to be Canadian. She started working for McClelland & Stewart, an epicenter of cultural creation in post-Expo Canada. Anna Porter’s story takes you behind the scenes into the nonstop world of Jack McClelland, a swashbuckling head of M&S whose celebrated authors dominated bestseller lists. Porter offers first-hand stories of struggling writers (often women), of McClelland’s extravagant schemes to interest Canadians in buying books. She recalls the thrilling days of running her own company in the 1980s, when Canada’s authors were suddenly front-page news. As president of Key Porter Books, she dodged lawsuits, argued with bank managers, and fought to sell Canadian books around the world. The book is witty, insightful, and deeply felt. It reads like a memoir that brings to life that time in our history when the voices Canadians craved to hear were our own. Things have changed a bit now. But I still love and celebrate Canadian books, and will always. There is a uniqueness and charm to such books that pale in comparison to American books and authors. I just love Porter’s life story. I don’t believe there is a better way to get to know Canada than through the wonderful authors that have penned stories that were uniquely Canadian, just because of who we are. Our stories are beyond description in breath and depth.